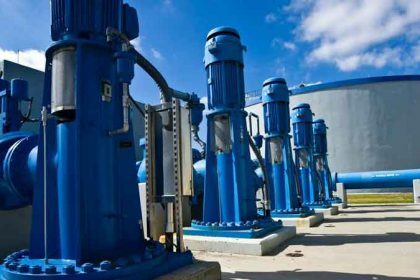 Submersible pump consists of: water pump, submersible motor (including cable), water pipes and control switch composed of four parts. Submersible pump for the single-suction multi-stage vertical centrifugal pump; submersible motor for the closed water-filled wet, vertical three-phase squirrel cage asynchronous motor, motor and pump through the claw or single-button coupling directly; equipped with different specifications Three-core cable; starting equipment for different capacity levels of air switch and auto-decompression pneumatic, water pipe for the different diameter of the steel pipe made of flange connection, high-lift pump with gate control. The upper part of the submersible motor shaft is equipped with a labyrinth sand control and two return-mounted skeletal seals to prevent flow sand from entering the motor. The submersible motor adopts water lubricated bearing, the lower part is equipped with rubber regulating film, regulating spring, regulating the pressure chamber, adjusting the pressure change caused by the temperature; the motor winding adopts polyethylene insulation, the nylon sleeve sets of water resistant magnetic wire, Cable connector technology, the connector insulation off scraping paint layer, were connected, welding firmly, with raw rubber around a layer. And then wrapped with waterproof adhesive tape 2-3 layer, the outer layer of 2-3 layers of waterproof tape or glue adhesive layer of rubber (bike tires) to prevent seepage. 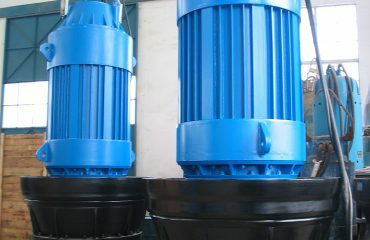 Submersible pump Each stage of the baffle is fitted with a rubber bearing; the impeller is fixed on the pump shaft with a vertebral sleeve; the baffle is threaded or bolted. 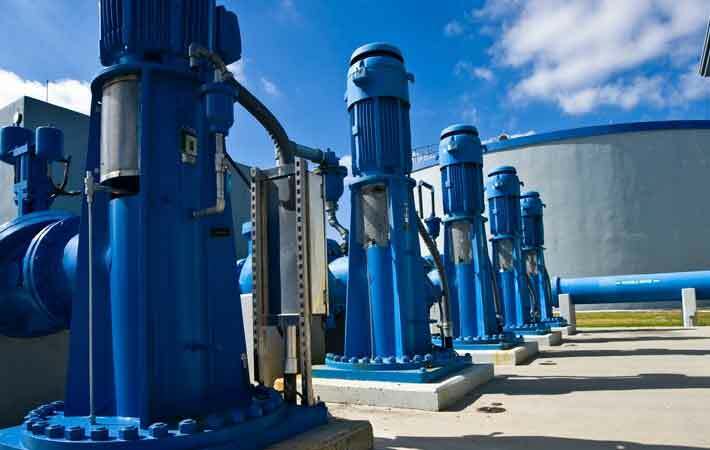 The high-lift submersible pump is equipped with a check valve to avoid downtime. Motor sealed, the use of precision stop bolts, cable outlet plus pads for sealing. There is a water injection hole on the top of the motor, there is a vent hole, the lower part of a water hole. The lower part of the motor is equipped with upper and lower thrust bearings, thrust bearings on the groove for cooling, and its grinding of stainless steel thrust plate, to withstand the upper and lower axial force pump.